Following below is 梅=ume, plum blossom along a lane toward parking space of our horsey riding club. It is so cute, yet rare to see such a short tree: we have to bend our back to feel sweet scent. 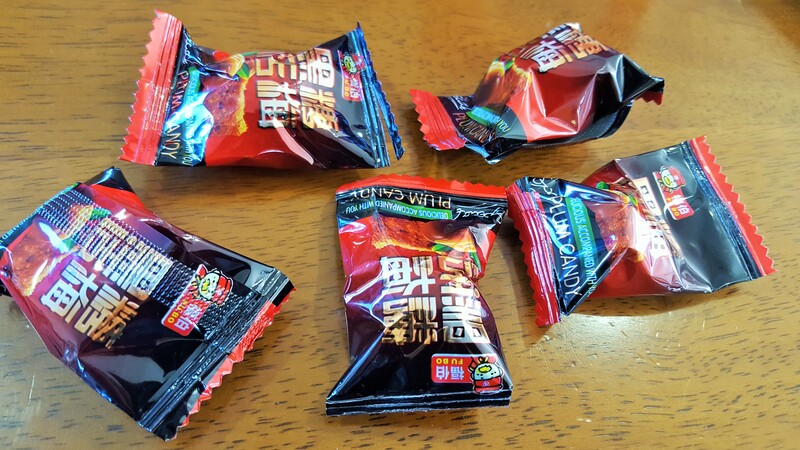 Another is brown sugar candy with pieces of dried salty plum topped, sold at a restaurant. Soooo tasty, with packing technology which might a bit surprise many Japanese consumers including Mei-Shun.